John Bruce Glasier, the illegitimate child of John Bruce and Isabella McNicoll was born on 25th March, 1859. His mother had eight children and the family lived in extreme poverty. As a young boy John worked as a shepherd in the Ayrshire hills but after the death of his father in 1870, the family moved to Glasgow. John's mother now changed her name from McNicoll to Glasier. In Glasgow Glasier found work as an apprentice draftsman but considered becoming a church minister until he read Charles Darwin and T. H. Huxley. Glasier was completely convinced by the theory of evolution and as a result lost his religious faith. In 1878 the City of Glasgow Bank failed with debts of £10 million. In the year following the bank's crash, almost a thousand Scottish firms went into liquidation. Glasier lost his job and for the next twelve years found it difficult to find regular employment. Glasier began to read books and newspapers that suggested that capitalism was the cause of poverty. In 1882 Glasier heard H. H. Hyndman, the leader of the Social Democratic Federation, speak at a public meeting in Glasgow. Glasier was impressed with Hyndman's arguments and became one of the leading SDF activists in Scotland. Glasier was also impressed with the writings of William Morris and Peter Kropotkin. The historian, Chris Wrigley, has pointed out: "Glasier was entranced when he heard Morris speak in Edinburgh and Glasgow in November 1884. When Morris and his associates left the SDF and founded the Socialist League, Glasier became secretary of its Glasgow branch, a post he held until 1889, when he moved to Alloa to work in a foundry. Glasier preached an ethical and Utopian socialism, and about this time, like Morris, was influenced by the anarchist ideas of Prince Kropotkin." In January 1885, Glasier left the Social Democratic Federation and joined the Socialist League, an organisation that had been set up by William Morris, Eleanor Marx, Edward Aveling and Walter Crane after a dispute with Hyndman. Glasier formed a branch in Glasgow and became a regular contributor to its journal, Commonweal. James Keir Hardie got to know Glasier during this period. He later recalled: "In those days when I first met him he was was an idealist pouring out fiery contempt on politicians and all their works. He is still an idealist, but has come to recognize that the way by which the ideal may be reached is more prosaic than his fresh enthusiasm at one time imagined." The journalist, Rowland Kenney, claimed that Glasier was a better propagandist than politician: "Both Hardie and Glasier, I firmly believe, would have done a greater service to humanity, become greater and happier men, had they kept to the work of preaching on street corners, in lowly halls in mean streets, or among the poorer workers in industrial towns and the outcasts and vagrants of the great cities, and left the work of administration and political trickery to meaner minds." The Socialist League failed to become a successful working-class party and in 1893 Glasier and his wife, Katherine Glasier, joined the recently formed Independent Labour Party (ILP). The ILP's leader, James Keir Hardie, argued that the main objective of the party would be "to secure the collective ownership of the means of production, distribution and exchange". Leading figures in this new organisation included George Bernard Shaw, Tom Mann, Henry Hyde Champion, Ben Tillett, Philip Snowden, Edward Carpenter and Ramsay MacDonald. In the 1895 General Election the Independent Labour Party put up 28 candidates but won only 44,325 votes. All the candidates were defeated but the ILP began to have success in local elections. Over 600 won seats on borough councils and in 1898 the ILP joined with the the Social Democratic Federation to make West Ham the first local authority to have a Labour majority. Until the birth of her first child in 1897, Katherine Glasier and her husband toured Britain giving lectures on socialism. Devout believers, the Glasiers described their socialism as "the Light of the World". At one meeting arranged by the Fabian Society in Manchester, John Glasier and a fellow speaker, Emmeline Pankhurst, were arrested and charged with speaking at an illegal meeting. Glasier was found guilty and fined £5 but when he refused to pay, the courts decided to drop the case. Glasier was a strong opponent of the Boer War. He wrote that: "The more I read and get to understand about the causes of the war, the more ashamed I am of my country. And yet one feels so powerless to actually stop the war, or save the brave Boers from the cruel havoc of our guns." In 1897 John Glasier was elected to the National Administrative Council of the Independent Labour Party. Along with James Keir Hardie, Philip Snowden and Ramsay MacDonald, Glasier was considered to be one of the four main leaders of the party. In 1900 Glasier replaced Hardie as chairman of the ILP. On 27th February 1900, representatives of all the socialist groups in Britain (the Independent Labour Party, the Social Democratic Federation and the Fabian Society, joined trade union leaders to form the Labour Representation Committee. The LRC put up fifteen candidates in the 1900 General Election and between them they won 62,698 votes. Two of the candidates, Keir Hardie and Richard Bell won seats in the House of Commons. Glasier was a contributor to many socialist newspapers including the Workman's Times, Commonweal, the ILP News and the Clarion. In 1904 he became editor of the ILP's new journal, the Labour Leader. Under Glasier's leadership the journal's circulation increased fourfold. In the 1906 General Election Glasier stood as the Labour Party candidate for the Bordesley seat in Birmingham. Although the party had twenty nine successful candidates, Glasier failed to win and was the only Labour Party leader not inside the House of Commons. Glasier continued to work for the Labour Leader until 1909. He also worked for the official newspaper of the Labour Party, the Daily Chronicle and edited the Socialist Review. The 1910 General Election saw 40 Labour MPs elected to the House of Commons. Two months later, on 6th February, 1911, George Barnes sent a letter to the Labour Party announcing that he intended to resign as chairman. At the next meeting of MPs, Ramsay MacDonald was elected unopposed to replace Barnes. Arthur Henderson now became secretary. According to Philip Snowden, a bargain had been struck at the party conference the previous month, whereby MacDonald was to resign the secretaryship in Henderson's favour, in return for becoming chairman." Bruce Glasier was not convinced that MacDonald was a socialist. In June 1911 he wrote in his diary: "I noticed that Ramsay MacDonald in speaking of the appeal we should send out for capital used the word Democratic rather than Labour or Socialist as describing the character of the paper. I rebulked him flatly and said we would have no democratic paper but a Socialist and Labour one - boldly proclaimed. 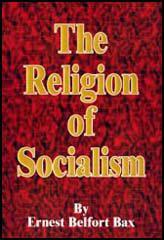 Why does MacDonald always seem to try and shirk the word Socialism except when he is writing critical books about the subject." Glasier was a pacifist and he gave his support to the No-Conscription Fellowship. Other members of the group included Bertrand Russell, Philip Snowden, Robert Smillie, Ramsay MacDonald, C. H. Norman, William Mellor, Arthur Ponsonby, Guy Aldred, Alfred Salter, Duncan Grant, Wilfred Wellock, Maude Royden, Max Plowman, John Clifford, Cyril Joad, Alfred Mason, Winnie Mason, Alice Wheeldon, William Wheeldon, John S. Clarke, Arthur McManus, Hettie Wheeldon, Storm Jameson and Duncan Grant. Glasier was a strong opponent of British involvement in the First World War and writing for the Labour Leader, was was very critical of socialists who took part in recruitment meetings or encouraged hatred of the German people. In August 1915 the newspaper in Manchester was raided and its editor, Fenner Brockway was charged with publishing seditious material. John Glasier developed cancer of the bowel in 1914. He spent most of the remainder of his life writing two books, The Meaning of Socialism (1919), William Morris and the Early Days of the Socialist Movement (1920) and compiled a collection of his verse, On the Road to Liberty. John Bruce Glasier died at 37 Windsor Road, Levenshulme, on 4th July, 1920. The Manchester Guardian commented: "Bruce Glasier was no politician, and was not remarkable as a journalist. His place in the Labour movement was rather that of an evangelist. He was warm-hearted, entirely disinterested, and ready at all times for self-sacrificing service to the Labour cause. Few men in the movement, accordingly, have been regarded with stronger affection in the movement." Philip Snowden added: "Bruce Glasier was one of the most brilliant men I have ever had the pleasure of knowing, and as a conversationalist he surpassed any man of my acquaintance. He never received the popular recognition of his ability and services to which he was entitled." The meeting was one of the strangest feeling I have seen since the lectures began. Quite a religious feeling seemed to pervade the hall the silence was so still and death-like that it shows a most wonderful power in this book. (2) Fred Hughes, Bruce Glasier's agent at Bordesley described Bruce Glasier in Labour's Northern Voice. Bruce was an artist and a poet, but when he arrived for a meeting, tired and travel-stained, with his flowing cloak and wide-awake hat, both much the worse for wear, and his unruly mop of curling hair and beard, he looked rather like a brigand down on his luck; and Katharine often conveyed an idea that her clothes had been thrown on to her with a pitchfork. (3) Bruce Glasier toured Ireland on behalf of the Fabian Society in 1899. The more I get to know the inner meaning of things in Ireland the more difficult, if not hopeless, the problem of its salvation becomes. There seems to be a flaw - a fatal lesion - in Irish character that unfits the people for rational and progressive life. The nationalist movement seems to be a huge superstition rather than an intelligent desire for national freedom and well-being. (4) James Keir Hardie, interviewed in 1900 about Bruce Glasier. In those days when I first met him he was was an idealist pouring out fiery contempt on politicians and all their works. He is still an idealist, but has come to recognize that the way by which the ideal may be reached is more prosaic than his fresh enthusiasm at one time imagined. Both Hardie and Glasier, I firmly believe, would have done a greater service to humanity, become greater and happier men, had they kept to the work of preaching on street corners, in lowly halls in mean streets, or among the poorer workers in industrial towns and the outcasts and vagrants of the great cities, and left the work of administration and political trickery to meaner minds. (6) In the spring of 1900 Bruce Glasier wrote in his diary about the Boer War. The more I read and get to understand about the causes of the war, the more ashamed I am of my country. And yet one feels so powerless to actually stop the war, or save the brave Boers from the cruel havoc of our guns. We are having frugal meals. Katharine had no lecture last Sunday, and I have none booked for next Sunday or the next again! This is not a cheerful outlook especially at Katharine's stories have not been selling of late. I noticed that Ramsay MacDonald in speaking of the appeal we should send out for capital used the word "Democratic" rather than "Labour" or "Socialist" as describing the character of the paper. I rebulked him flatly and said we would have no "democratic" paper but a Socialist and Labour one - boldly proclaimed. 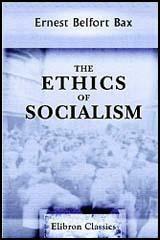 Why does MacDonald always seem to try and shirk the word Socialism except when he is writing critical books about the subject. Last night while waiting for Anderson in the outer lobby of the House of Commons, Cunninghame Graham hailed me and wished to be friendly. I asked him why he made an attack on German art in a letter to the Daily News. Morris, I said, was more German than French or Italian in his art feeling. Graham admitted this. "Then why", I asked, "did you use his name to sneer at Germany? Was it fair, was it manly to do so in order to further influence the blind hatred of the British public against Germany? I repeated the question again and again. He then confessed that "perhaps he had made a mistake". Great God! All our ILP front-rankers defeated - overwhelming! Henderson also - and Asquith and Sir John Simon! The coalition win - as a flood - majority probably 260! Only some 50 to 60 Labour men, out of 350, elected! What a calamity. Home with Katharine - trying to comfort each other. We must walk by faith. Mr Glasier was no politician, and was not remarkable as a journalist. His place in the Labour movement was rather that of an evangelist. He was warm-hearted, entirely disinterested, and ready at all times for self-sacrificing service to the Labour cause. Few men in the movement, accordingly, have been regarded with stronger affection in the movement. Bruce Glasier abandoned his profession as an architect to devote himself wholly to the Socialist movement, although he had nothing to offer him beyond the wages of an unskilled labourer. Mr. Glasier gave thirty years of his life to socialist propaganda, and he died at an age when, in the natural course of events, many more years of activity might have been expected. Bruce Glasier was one of the most brilliant men I have ever had the pleasure of knowing, and as a conversationalist he surpassed any man of my acquaintance. He never received the popular recognition of his ability and services to which he was entitled. Glasier was entranced when he heard Morris speak in Edinburgh and Glasgow in November 1884. When Morris and his associates left the SDF and founded the Socialist League, Glasier became secretary of its Glasgow branch, a post he held until 1889, when he moved to Alloa to work in a foundry. Glasier preached an ethical and Utopian socialism, and about this time, like Morris, was influenced by the anarchist ideas of Prince Kropotkin. He wrote much for Morris's newspaper Commonweal. 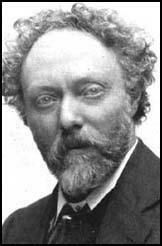 In these years and later Glasier looked the part of the romantic politician, the vagabond poet, or the Pre-Raphaelite aesthete. After the disintegration of the Socialist League, Glasier remained a nominal member of Morris's Hammersmith Socialist Society, but otherwise resumed his role of lone socialist propagandist until he joined the Independent Labour Party in late 1893....For much of the Independent Labour Party's first twenty-five years Glasier was one of its ‘Big Four’ leaders, along with Keir Hardie, James Ramsay MacDonald, and Philip Snowden. He served on the party's national administrative council from 1897 to 1909, when the Big Four resigned over the annual conference's failure to back them fully in a dispute concerning Victor Grayson, and again from 1910 to 1919. Glasier succeeded Hardie as party chairman (1900–03).